Health Authorities In Brazil Suspect That A Rise In A Rare Birth Defect Could Be Tied To Zika Virus : Goats and Soda In Brazil, health authorities suspect the mosquito-borne Zika virus is tied to a severe birth defect. They've urged women in certain regions to avoid getting pregnant. Health inspectors collect samples of mosquito larvae from standing water in a garden in a middle-class neighborhood in the north of Rio de Janeiro. They are searching for places where the Aedes aegypti mosquito breeds — that's the one that carries Zika virus. 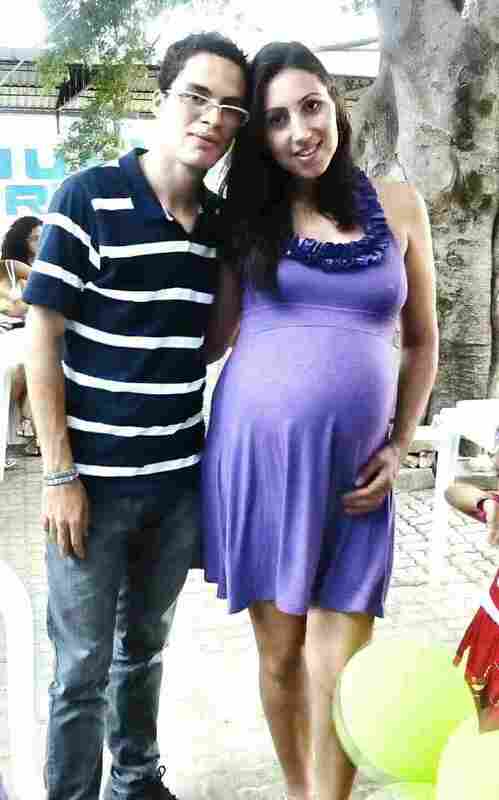 Brazil's Ministry of Health made an unprecedented announcement this month: It told women in the northeast of the country not to get pregnant for the foreseeable future. And it's all because of a mosquito — the Aedes aegypti species, which can spread a variety of diseases, including Zika virus. Health experts in Brazil are concerned that the virus, whose symptoms are typically a low-grade fever and bright red rash, might be having a devastating impact on newborns. In the past few months, doctors have been seeing a rise in microcephaly, a rare neurological disorder that results in infants having small heads and underdeveloped brains, causing severe developmental issues. Children born with this illness are likelier to die young and require constant care. On Oct. 20 Dr. Kleber Luz, an infection specialist at the Federal University of Rio Grande do Norte in the city of Natal, got a call from a colleague in another northern city with a question: How many cases of microcephaly had been diagnosed recently? "Normally in a year you'd have maybe three or four cases," he says by phone from his home city of Natal in Brazil's north. "In 24 hours when we asked around, there had been 11 in the city. And that was a shocking enough number that we realized something very serious was happening." Luz and his team asked around and discovered that most of the mothers diagnosed with microcephalic fetuses had something in common: They had Zika virus early in their pregnancy. Zika virus was first discovered in the 1940s in Uganda and named after a forest there. It's not clear when Zika arrived in Brazil, though some doctors speculate it could have come with African visitors during the World Cup. Initially, it wasn't a concern. Normally, Zika is not a serious infection, unlike malaria and dengue, for example. People are ill for a few days and generally recover. But after the cases of microcephaly popped up, Luz remembered a paper that had been written in 1971, showing that rats infected with Zika developed a neurological condition. Brazil's Ministry of Health says there is now a suspected link between Zika and the cases of microcephaly in infants. "Everyone involved in this is extremely concerned about what could happen," says Luz. "We don't yet understand this illness." The Health Ministry is now working with the Centers for Disease Control and Prevention and an arm of the World Health Organization to figure out what is going on. In the meantime, six states in Brazil have announced a state of emergency. There are 1,761 cases of microcephaly; many more are expected as Brazil's Health Ministry says more than 1 million people could have contracted the virus. Luz also says women in the northeast should refrain from getting pregnant, echoing the recommendation of the ministry. In the meantime, the government is sending out teams of health inspectors to try to control the mosquito that spreads the disease. 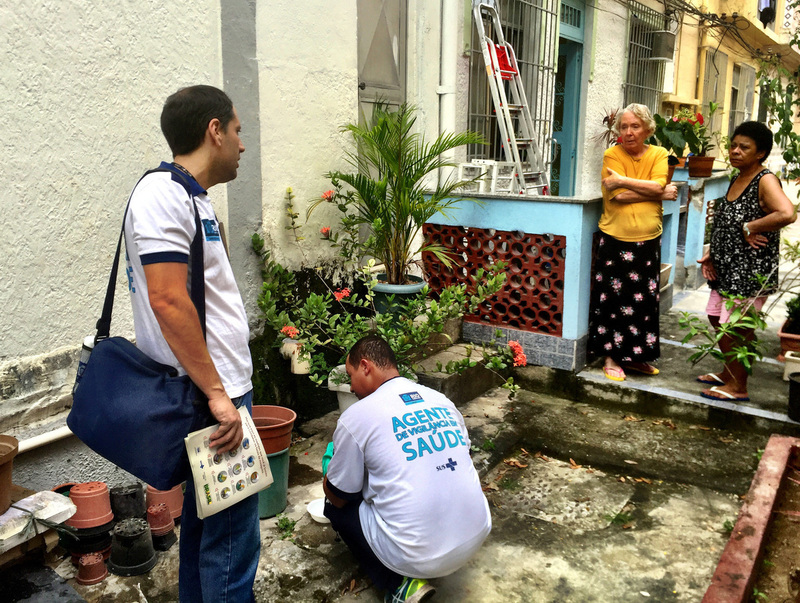 In a middle-class neighborhood in the north of Rio de Janeiro, health inspectors went door to door this week looking for places where the Aedes aegypti mosquito breeds. They looked into cisterns and empty plant pots, taking water samples. At one house 36-year-old owner Elisabete de Abreu said her father-in-law has the virus, so she knows this is important. "It's an enormous concern because of the children," she said. The Aedes aegypti bloodsucker spreads not only Zika but yellow fever, chikungunya and dengue. It first arrived in Brazil on slave ships coming from Africa; in the mid-20th century it was almost wiped out after a huge outbreak of yellow fever led to a concerted eradication campaign. But experts say the mosquito came back after those measures were relaxed. These days it's everywhere. Beyond Zika, Brazil is actually suffering a dengue epidemic right now as well, with over 1.5 million cases in the country. One of the reasons is climate change, according to experts. A harsh drought has been affecting Brazil, so people are storing water on their rooftops.The Aedes aegypti loves to breed in standing water in urban environments. The female needs to feed on blood to mature her eggs, and cities have both a lot of people and places to lay eggs. But it's not clear why Zika virus could be having this effect on fetuses. "It's a mystery for everyone. We only just started looking into this a month ago," says Denise Valle, a researcher and entomologist at Fundacao Oswaldo Cruz, a leading scientific research center in Rio de Janeiro, who studies the Aedes aegypti. Dr. Angela Rocha is an infection specialist with the Oswaldo Cruz Hospital in the state of Pernambuco, where many of the microcephaly cases have been detected. "I've been an infection specialist for more than 40 years and I've never been through such a period of stress. If we don't get a handle on this, we are going to have a generation of damaged babies," she warns. It could take years to determine whether the mosquito is to blame. The ban, meanwhile, is a suggestion. But many women are in a state of high alert — and some pregnant women are living in a fog of citronella. Valdemar Geo contributed to this story. A previous Web version of this story incorrectly referred to the state of Pernambuco as a city.